F56 20A Fuel pump supply. F59 5A Passive anti-theft system supply. 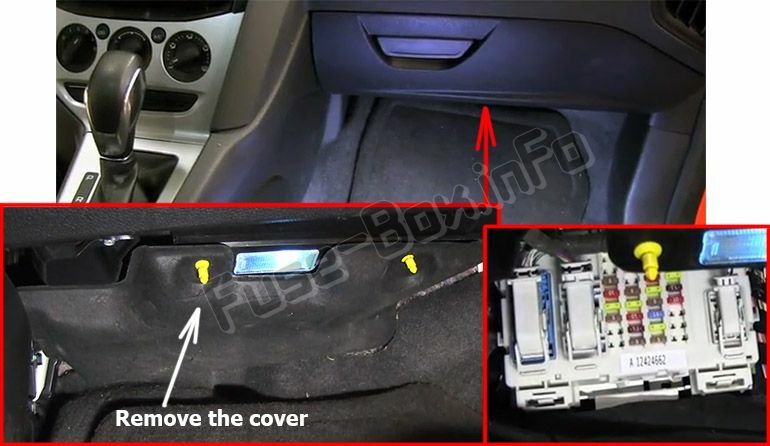 F60 10A Interior lamps, driver's door switch pack, glove box, ambient lighting, electric moonroof. F61 20A Cigar lighter, rear power outlet. 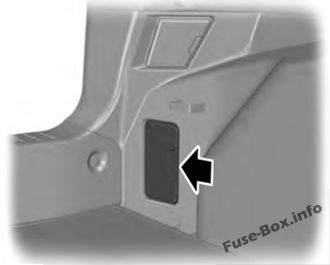 F65 10A Luggage compartment lid release. F66 20A Driver's door lock, double locking. F67 7.5 A Information and entertainment display. Global Positioning System. Bluetooth phone voice control connectivity. F71 7.5 A Air conditioning. F72 7.5 A Steering wheel control module. F73 7.5 A Battery back-up sounder (alarm system). Onboard diagnostics system. F75 15A Front fog lamps. F78 5A Ignition switch or start button. F79 15A Audio unit, hazard and door lock buttons. F81 5A Radio frequency receiver. F82 20A Washer pump ground. F83 20A Central locking ground. 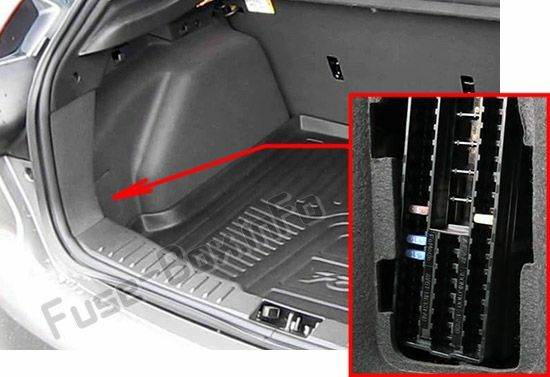 F84 20A Driver's door unlock and double locking ground. F85 7.5 A Voltage quality monitoring (KL15). Manual air conditioning heater module. Auxiliary heater. Forward looking camera. Radio. Moonroof module. F86 10A Restraint system. Manual air conditioning heater module. Passenger airbag deactivation system. F87 15A Heated steering wheel. F7 40A Anti-lock Braking System pump. Electronic stability program valve. F8 30A Electronic stability program valve. F9 30A Heated rear window. F10 40A Heater blower motor. F12 30A Engine management systems. Exhaust gas re-circulation relay. F14 25 Rear power window (without door control unit). F15 25A Transmission control module. Cooling fan - 1.0L EcoBoost. F19 5A Electronic stability program module. F21 5A Brake lamp switch. F22 15 A Battery monitoring system. F23 5A Relay coils, lighting control switch module. F24 5A Rear side heated windshield. F25 10A Electric exterior mirrors. F26 15 A Transmission control module - 2.0L GDI. 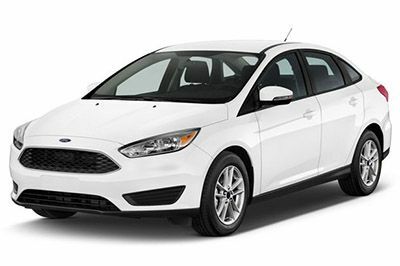 F26 20A Transmission control module - 1.0L Ecoboost. F27 15 A Air conditioning clutch. 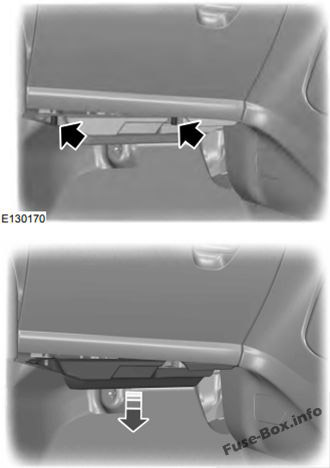 F29 10A Stop-start for rear view camera. Blind spot information system. F32 10A Powertrain control module. Crankshaft position sensor. Camshaft position sensor. F33 15 A Total mass air flow sensor - 2.0 GDI. Ignition coils - 1.0L EcoBoost. F34 10A Run on water pump. Variable valves. Canister purge valve. F35 10A Crankshaft position sensor. Universal heated exhaust gas oxygen sensor. Canister purge valve. F36 5A Active grille shutter. F38 15 A Transmission control switch. F40 5A Electric power assisted steering. F41 20A Body control module KL15 supply. F42 15A Rear window wiper. F47 7.5A Heated exterior mirrors. R1 Micro relay Intercooler fan. R3 Micro relay Front window defroster (partially heated windscreen). R5 Micro relay Rear wipwer. R8 Power relay Delayed accessory power. R10 Mini relay Starter relay. R11 Micro relay Air conditioning clutch. R12 Power relay Cooling fan relay. R13 Mini relay Blower motor. R14 Mini relay Powertrain control module. R15 Power relay Rear window defroster. F3 5A Keyless vehicle door handles. F4 25A Door module (left-hand front) (electric windows, central locking, electric folding mirrors, heated exterior mirrors). F5 25A Door module (right-hand front) (electric windows, central locking, electric folding mirrors, heated exterior mirrors). F6 25A Door module (left-hand rear) (electric windows). F7 25A Door module (right-hand rear) (electric windows). F9 25A Power driver's seat. F10 25A Digital signal processing amplifier. F29 5A Blind spot monitor. Rear view camera without start stop module. F30 5A Parking aid module. F34 15 A Heated driver's seat. F35 15 A Heated front passenger's seat. R1 Power relay Ignition switch. F61 20A Front cigar lighter. 2nd row power point. F66 20A Driver's door lock. F67 7.5 A Information and entertainment display. Global Positioning System. SYNC module. F74 15A Headlamp unit (main beam). F84 20A Driver's door unlock ground. F85 7.5 A Voltage quality monitoring (KL15). Manual air conditioning heater module. Forward looking camera. Radio. Moonroof module. F86 10A Restraint system. Occupant weight sensor. F7 40A Anti-lock Braking System pump. Traction control valve. F8 30A Traction control valve. F14 25A Rear power window (without door control unit). F19 5A Traction control module. F24 5A Right-hand partially heated windshield element. F25 10A Electric exterior mirrors (without door control unit). F26 15A Transmission control module - 2.0L GDI. F38 15 A Transmission control module global shifter (switched battery power). F39 15 A Heated driver seat. F42 15 A Rear wiper motor. F43 15 A Headlamp unit (dynamic bending motor). F45 15 A Heated passenger seat. F46 25A Electric power windows (without door control unit). F47 7.5 A Heated exterior mirrors (without door control unit). R5 Micro relay Rear wiper. 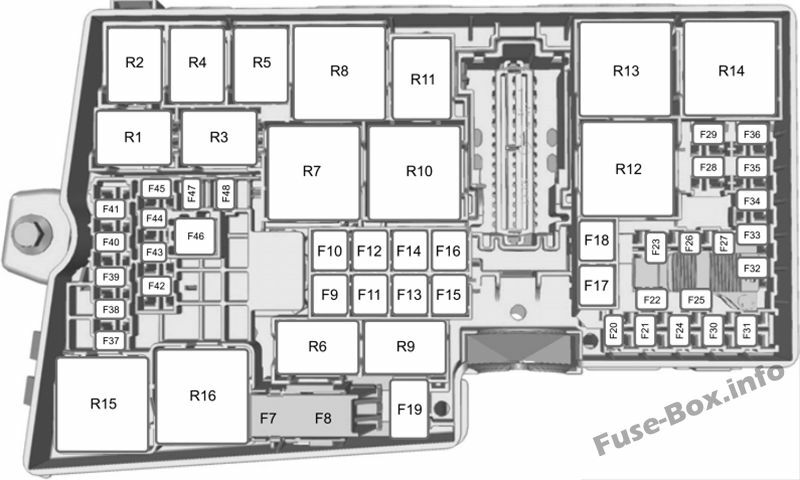 F4 25A Door module (left-hand front) (electric windows, central locking, heated exterior mirrors). F5 25A Door module (right-hand front) (electric windows, central locking, heated exterior mirrors). F9 25A Power driver's seat adjust. F56 20 A Fuel pump. F58 5 A Not used (spare). F59 5 A Passive anti-theft system. F60 10 A Interior lamp. Ambient lighting module. Moonroof. left-hand front door module. F61 20 A Cigar lighter. Rear auxiliary power points. F62 5 A Not used (spare). F63 10 A Not used (spare). F65 10 A Liftgate release switch. F66 20 A Driver door lock. F67 7.5 A Information and entertainment display. Global positioning system module. SYNC module. F69 5 A Instrument cluster. F70 20 A Central locking system. F71 7.5 A Air conditioning control module. F72 7.5 A Steering wheel module. F73 7.5 A Battery back-up sounder. Secondary on-board diagnostic control module A.
F74 15 A Headlamp high beam. F75 15 A Front fog lamps. F76 10 A Reversing lamp. F77 20 A Windshield washer pump. Rear window washer pump. F78 5 A Push button ignition switch. F79 15 A Audio unit. Hazard flasher switch. Power door locks. F81 5 A Radio frequency receiver. F82 20 A Windshield washer pump. Rear window washer pump. 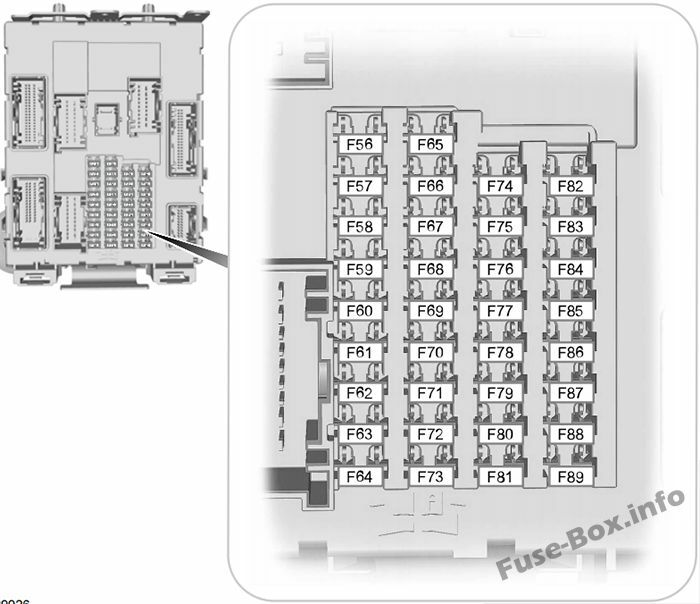 F83 20 A Tracking and blocking control module. F84 20 A Driver door unlock. F85 7.5 A Voltage quality monitoring. Air conditioning clutch. Front parking aid camera. Audio unit. Moonroof. F86 10 A Supplemental restraint system. Passenger sensing system. F87 15 A Heated steering wheel. F7 40 A Anti-lock brake system. Traction control valve. F8 30 A Traction control valve. F9 30 A Heated rear window. F10 40 A Blower motor. F12 30 A Powertrain control module relay. F13 30 A Starter motor. F14 25 A Rear power windows. F15 25 A Transmission control module. Cooling fan (1.0L EcoBoost). F16 20 A Battery monitoring sensor. F18 20 A Windshield wipers. F19 5 A Traction control module. F21 5 A Stoplamp switch. F22 5 A Parking assist control module. F23 5 A A/C compressor relay coils. Lighting control. F24 5 A Right-hand heated windshield element. F25 10 A Exterior mirrors. F26 15 A Transmission control module (2.0L GDI). F26 20 A Transmission control module (1.0L Ecoboost). F28 5 A Rearview camera. F31 5 A Accessory delay. F32 10 A Powertrain control module. Crankshaft position sensor. Camshaft position sensor. F33 15 A Mass air flow sensor (2.0 GDI). Ignition coil (1.0L EcoBoost). F34 10 A Coolant pump. Evaporative emission canister purge valve. Sound symposer actuator valve. Turbocharger bypass valve. Wastegate control valve. Air conditioning compressor. Oil pump. Turbocharger variable vane hydraulic control valve. Variable intake valve. Externally-controlled variable displacement compressor. F35 10 A Crankshaft position sensor. Heated oxygen sensor. Evaporative emission canister purge valve. F36 5 A Active grille shutter. F37 15 A Daytime running lamps. Headlamp control module. F38 15 A Transmission control module. F39 15 A Driver heated seat. F40 5 A Electronic power assist steering. F41 20 A Body control module. F42 15 A Rear window wiper motor. F45 15 A Passenger heated seat. F46 25 A Power windows. F47 7.5 A Heated exterior mirrors. F3 5 A Remote keyless entry. F4 25 A Left-hand front power windows. Central locking system. Left-hand heated exterior mirror. F5 25 A Right-hand front power windows. Central locking system. Right-hand heated exterior mirror. F6 25 A Left-hand rear-window power. F7 25 A Right-hand rear power windows. F9 25 A Driver power seat. F10 25 A Audio unit antenna amplifier. F11 5 A Remote keyless entry.